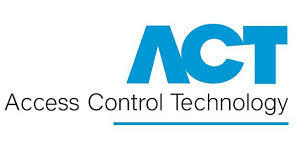 Access Control Technology (ACT) Ltd was formed in 1995 to design and manufacture high quality access control products for the security industry. ACT provides innovative and cost effective solutions across the market spectrum. ACT specialises in the design and manufacture of superior quality electronic Access Control and Door Entry products. Combining reliability and quality with engineering expertise and innovation, the ACT product portfolio has a functionality that is user friendly, effective and well developed in line with the demands of the market. Innovative and effective access control systems are the corner stones on which the ACT business has been developed. We are committed to bringing you secure, robust and aesthetically pleasing products. Varying security needs call for a range of products – from simple single-door solutions to enterprise-wide systems with open-format design and interoperable capabilities. Access Control Technology provides seamless access control systems and door entry solutions, assuring the installer and their customers that the system parts are totally compatible. With the ACT product range fulfilling access control requirements for domestic dwellings, medium sized business and large scale enterprises located over multiple sites, the ACT products can be found in high security government buildings, leading educational facilities, multinational pharmaceutical organisations, major hospitals, well known retail chain stores, prison buildings, busy leisure facilities and private dwellings. Our international distribution network continues to expand, serving installing companies in Europe, Asia, The Middle East and North America. Access Control Technology is committed to creating long term client partnerships. A wide range of ancillary services give us a distinct competitive advantage when competing in both domestic and international markets. Our Customer Services team delivers a trustworthy and professional service with the support you require. Services include Technical Support, Training, On Site Assistance, Tender & Specification Consultation, Bespoke System Design and System Integration.